We are used to diverse training methods related either to physical health or to dexterity in different skills. Just as athletic coaches or trainers help athletes to get the maximum performance out of their bodies, other coaches improve the performance, not of the body, but of emotional fulfillment. In other words, to manage emotions and capacities, in order to get the full potential whenever it is needed. Helping you to identify the limitating beliefs, mental habits or demotivating elements (also called “saboteur”) is one of the coach’s roles, as well as providing powerful resources to teach you to manage and identify the forces acting in your inner side, everytime. Knowing what makes us feel capable and successful, or what makes things difficult for us, has a lot to do with our choice. And, what is more important, it has a lot to do with the person we become and the things we get in the process. Therefore, the main goal of the coach is to join you in the discovery of that immense being we all have within, full of abilities and resources, to teach you to connect with the person you really need to be, the person you already are in your everyday life, and the person you don’t allow yourself to believe in, for a number of reasons. Of course, your coach won’t tell you how to feel or what you must do. Only you have the information about your life to know what is best for you. You already know it. Our job as coaches is making you make you aware of that. The coaching relation is strictly confidential. Green Man Go only provides experienced and certified coaches, trained in the San Francisco Co-Active School. If you are interested in starting a coaching procedure and you want to learn about your coach in advance, Green Man Go offers you the possibility of assisting a demo coach session for free. Contact us in order to schedule it. 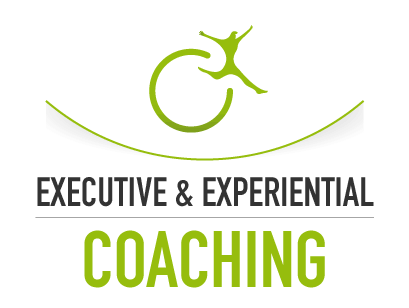 If you want to schedule personal executive or experiential coaching sessions, you can call Green Man Go’s phone (932 954 603) or Sergio Blancafort’s phone (696 989 335), or fill the info form telling us when you want to receive our call. We’ll contact you.